In what is considered a technical breakthrough Kazakhstan’s Air Astana has become the first airline to offer Inmarsat’s GX Aviation wi-fi onboard a wide-body aircraft. Air Europa will introduce a new service from Gatwick to the Brazilian city of Recife in December, via Madrid. The twice-weekly route will start on 20 December – operating on Wednesdays and Fridays – with the addition of a third weekly flight expected in 2018. An Airbus A330-200 will be used for the service in a three-class layout. Gatwick has seen two major route introductions to the United States by Norwegian. Yesterday (15 September) it was Denver and today Seattle. Fares start at £179 each way. "Which?" goes back to 1957 and is part of the Consumers' Association, with more than half a million subscribers. Which? magazine has been championing users’ rights since that time, often controversially, giving publicity to whoever and whatever comes under its glare and, of course, to the publication. 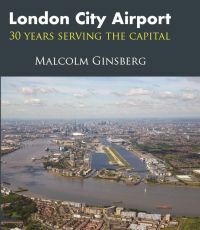 Business Travel News has appointed specialist Manchester-based transport book expert Crécy Publishing Ltd as distributor for its forthcoming title London City Airport – 30 Years Serving the Capital, written by BTN’s editor-in-chief Malcolm Ginsberg. With more than 700 titles in print, Crécy Publishing has a growing reputation as a premier aviation, railway and transport publisher. It recently announced the acquisition of the railway, transport and military history publishing interests of Ian Allan Publishing Ltd, including the ‘OPC’ railway imprint. Crécy books are available through a worldwide network of distributors and stockists including museums, specialist retailers and high street bookshops. The insolvent German carrier Air Berlin was forced to cancel 100 flights last Tuesday (12 September) as 200 pilots called in sick, the airline admitting that this was much higher than usual. On the next day 32 services were not operated, due to sickness again. It took a bit of prodding by a journalist, in this case Robert Wall of the Wall Street Journal, but Embraer is seriously looking at an up to 70-seat turboprop for production in the next decade. Garuda Indonesia will from 31 October offer non-stop services between Heathrow and Jakarta in both directions. Currently only the 14-hour southbound leg does not require a Singapore stopover. The All-Party Parliamentary Group on General Aviation (APPG) held a media briefing last week. This new group is chaired by the former Cabinet minister and private pilot’s licence holder Rt Hon Grant Shapps MP. EasyJet has unveiled ‘Worldwide by easyJet’, a major innovation enabling customers to buy seats on other carriers’ flights via easyJet.com, for the first time offering passengers what is known in the airline business as interlining, or flight connections. During July 2017, 90% of the top 20 most in-demand flights on earth were in the Asia-Pacific region new research by Routesonline has found, with no routes from Europe or the Americas making the list. Just over a week ago Ryanair introduced a three times per week service between Stansted (see BTN 11 September) and Pardubice in the Czech Republic, 60 miles to the west of Prague. The omens look fine for the route with good loads reported on the first scheduled service into the former military airport. BTN joined a small press group sponsored by the local tourist board and the airline. “Airport makes a terminal decision”. Wales is to have an unlikely long-haul gateway from 1 May 2018 with Qatar Airways confirming a daily service to Doha, a major Middle East hub. Flying with KLM long-haul? Passengers on intercontinental Economy Class flights can now view detailed information about meal options. With both sides claiming victory Ryanair and its pilot force are likely to be locked into further battles on aircrews legal status. A new start-up has launched in London giving customers an easy, safe and affordable way to store bags while you explore. LuggageHero uses the principals of the sharing economy to make storing bags while travelling as simple and easy as possible. It is already well established in Copenhagen. Flybe is to introduce a Manchester to Southend air service from 29 October, flown by an ATR72 three times weekdaily, reduced at the weekend. The iconic ONE UN New York has relaunched as Millennium Hilton New York One UN Plaza. Westminster has a new hotel, and at very attractive prices. According the travel expert Simon Calder, writing in The Independent, up to 9,000 Ryanair passengers a day face having their travel plans wrecked as the airline cancels “40 to 50” flights a day until the end of October. Singapore Changi Airport’s newest terminal, Terminal 4, will start receiving commercial flights on 31 October, after a series of successful trials. With more and more Bombardier C Series being delivered, 11 to date, SWISS last remaining AVRO RJ100 has taken retirement with HB–IYZ making its final scheduled flight on 15 August 2017.